That F'ing Monkey: Flash Friday: McDonalds Again? Happy Flash Friday everyone! Just when you thought you were done eating chicken nuggets and checking back every week for Flash toys McDonalds is at it again. It isn’t more Young Justice toys; instead we’re getting a second wave of Batman the Brave and the Bold toys. It seems weird that we’re getting more toys from a show that even if all the episodes haven’t aired yet, is pretty much finished. I may be saying that though because I didn’t want it to end. The Golden Arches are switching things up a little bit this time around. Every Brave and the Bold toy set actually has three pieces to it. Some times it’s two people and a car, other times it is just three people. There are two sets that will be of interest to Flash fans. The first one we’ll look at is the pack of Batman, Robin, and Gorilla Grodd. Just from the picture you can see that these things are going to be pretty small and the paint apps will probably be pretty scary. I do really like the Grodd design in Brave and the Bold though, but I already have a fantastic version of it with Action League figure that came out, so I’ll probably pass on this. Next up is Batman, Sportsmaster, and the Flash. Before I even talk about the figure I’d like to point out how Flash fans get the shaft here. The set that Aquaman comes in contains Black Manta; so Aqua fans are set with just one set. The split the Flash characters between the two sets and it makes me sad. Again you can see how simple the paint apps on these guys are, Flash’s belt looks like it may be molded on, but it is unpainted. Of course he is in a running pose, in a figure with no articulation that is the way you’d want it I suppose. I want to say I won’t spend my days tracking this little guy down; but I most likely will. No, there isn’t a Black Flash happy meal toy; I would spend days tracking that down. I just wanted to ramble for a moment. I’ve been going through some stress at the work place, everything will be fine in the long run, just hit a rough patch in the status quo. So my state of mind hasn’t been as upbeat as always. 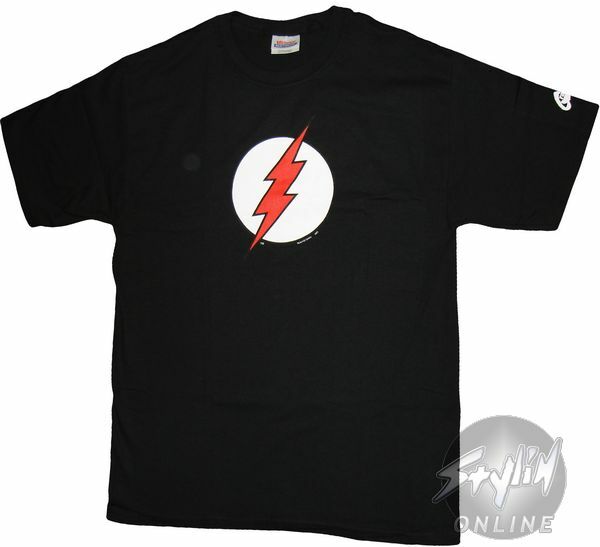 Yesterday I was wearing my Black Flash shirt. As I’m waiting for the elevator a guy walks by and says, “Hey, Flash Gordon.” We’ve talked about that pain before, so I managed a weak smile and said “hey” back to him. Three hours later I’m walking out of the toy isle in target and they guy working there says, “Cool Black Flash T-Shirt, I’ve never seen one of those before.” I froze in shock and when I recovered we stood around talking a few minutes about the Black Flash storyline. The guy didn’t know it, but he managed to make the whole day better. I probably should have told him. *Sigh* I've been going through a similar problem at the work place and it has had me in a lazy funk. I hate lazy funks! Good luck with everything. I wonder about all the sudden love from Mickey D's but then remember that any new Flash toys are good Flash toys. I can't wait to find these guys and post pics. Alas, I cannot say that I have been going through a ruff patch at work. In fact, I kinda like my new job. But that isn't what this is about. I have to admit that I too have had that same conversation, "Oh cool, Flash Gordon!" With the immediate response going from wanting the rip the guys head off while explaining to him that Flash Gordon wears a rocket pack and carries a space gun while The Flash which my t-shirt represents runs... really fast. You should have told the guy in the toy aisle that he made his day cause I'm certain that you made his. Sportsmaster?!? What an odd choice. I never could find the Captain Cold and Kid Flash Happy Meal figures at any of the McDs around here, so I'll have to get them on Ebay. Hope you feel better soon! It's great that guy recognized your shirt. Thanks for the kind words everyone. The work thing will be fine. Just shifted my job responsibilities and it'll take some adjusting to get used to it. I'm totally going to say something the next time I see the guy working there. I want that Grodd toy so much. I too have work issues. I probably would look for a new job had I any transferable job skills. I hope it gets better for you quickly. And yay for having someone brighten your day like that. It's always the little things that make it happen but those are the best.